The Saudi cabinet has approved a major plan to diversify the national economy away from oil with an aim to generate 450,000 jobs in non-government sectors by 2020, officials said Tuesday. The National Transformation Programme (NTP) 2020 also aims to cut public expenditures by 40 percent over the next five years and boost the contribution of the private sector, officials said. The NTP will be implemented through 543 initiatives across 24 government bodies at a cost of 270 billion riyals ($72 billion) over the next five years, State Minister Mohammed al-Sheikh told a press conference in the western coastal city of Jeddah. Minister of Energy, Industry and Mineral Resources Khalid al-Falih said under the Programme, the ministry aims to boost the competitiveness of the Saudi energy sector, double the production of natural gas and boost non-oil exports. He said the NTP envisages to increase non-oil exports from 185 billion riyals to over 300 billion riyals by 2030. Under the programme, the ministry plans to build a huge international complex for marine industries that will provide 80,000 jobs and cut imports by $12 billion annually, the minister said. A number of industrial cities are planned under the Programme that are slated to generate 150,000 jobs, said Faleh who last month replaced long-serving oil minister Ali al-Naimi. 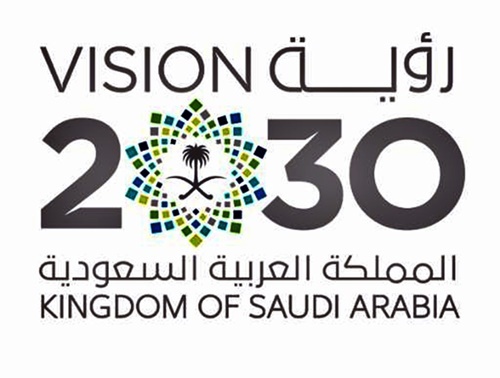 Other programmes under the Vision 2030 include a plan to float less than five percent of giant state oil firm Saudi Aramco on the stock market. The proceeds would become part of the world's largest state investment fund, with $2 trillion in assets. The collapse has accelerated Saudi efforts to move away from petroleum which still accounts for the bulk of government income. Among its wide-ranging goals the Vision aims to reduce unemployment, increase women's participation in the workforce, boost private sector economic contributions, and develop cultural and entertainment activities in the kingdom. Saudi Arabia is one of the world's most conservative societies, but more than half of its citizen population is younger than 25.